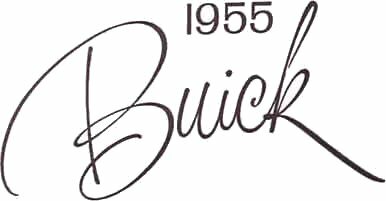 As BUICK's top-of-the-line Series, ROADMASTER brings impressive new leadership to the fine-car field. In the new sports-car lines of the Sedan, the roomier Riviera and Convertible, you see lower profiles, and distinctive new front-to-rear styling. Horsepower in ROADMASTER has been increased to 236 with a compression ratio of 9.0 to 1. Performance has been increased with the acceleration magic of Variable Pitch Dynaflow. Gasoline economy is notably improved. Now add to this -- the unsurpassed levelness of the ROADMASTER ride -- regal new interiors with richly brocaded fabrics and pastel-hued leathers -- the ease of handling of Buick Safety Power Steering -- the many other choice features that are yours as standard equipment -- and you know why ROADMASTER is the most rewarding investment your fine-car dollars can make in 1955.